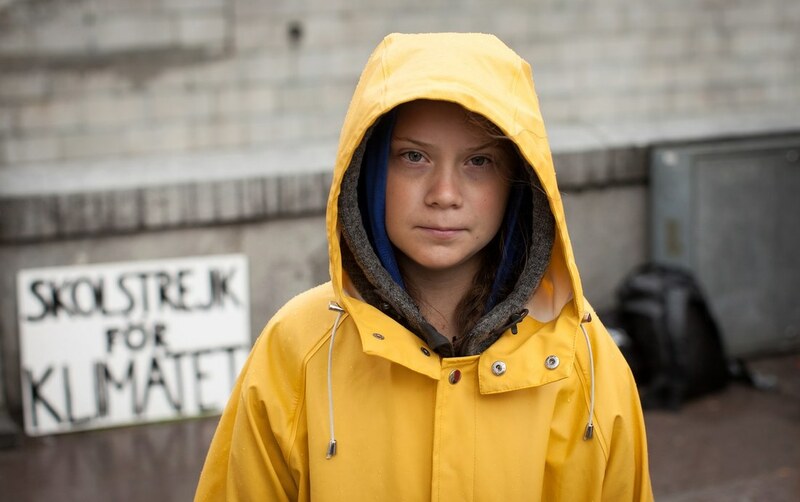 Sweden's fifteen-year-old Greta Thunberg has been protesting for more than a month. Before the country’s parliamentary election on September 9th, she went on strike and sat on the steps of the parliament building, in Stockholm, every day during school hours for three weeks. Since the election, she has returned to school for four days a week; she now spends her Fridays on the steps of parliament. She is demanding that the government undertake a radical response to climate change. She told me that a number of members of parliament have come out to the steps to express support for her position, although every one of them has said that she should really be at school. Her parents think so, too, she said—that she should really go to school, though she is right to protest. Greta developed her special interest in climate change when she was nine years old and in the third grade. Greta has an uncanny ability to concentrate, which she also attributes to her autism. “I can do the same thing for hours,” she said. Or, as it turns out, for years. She began researching climate change and has stayed on the topic for six years. She has stopped eating meat and buying anything that is not absolutely necessary. In 2015, she stopped flying on airplanes, and a year later, her mother followed suit, giving up an international performing career as an opera singer. The family has installed solar batteries and has started growing their own vegetables on an allotment outside the city. To meet me in central Stockholm, Greta and her father rode their bikes for about half an hour.